A discussion of the style of real estate advertising involves everything from a study of human emotions to preparation of copy. 1. 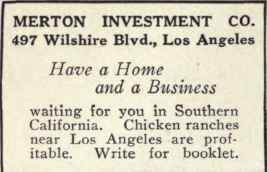 A real estate advertisement must attract - not displease. An advertisement that gives rise to pleasant thoughts or pleasant sensations instantly attracts attention. That which causes pain or displeasure has the opposite effect. When a prospective buyer is in a pleasant frame of mind he is susceptible to suggestion. 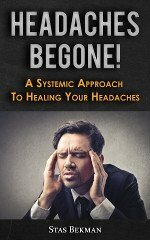 When he is pained, angered, or displeased he becomes distrustful and a mental resistance develops that cannot be overcome. Art work, typography and text must be pleasing if proper results are obtained. In art work and text, portrayal of the following is pleasing: Youth, beauty, growing things, happiness, contentment, comfort, success, prosperity. 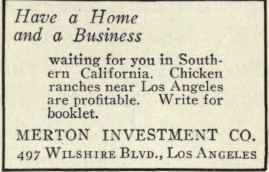 On the other hand a real estate advertisement depicting wretched conditions of living would be displeasing to most readers and therefore ill advised. In typography, large type of course attracts, as does artistic border design. A well known advertising dictum, however, is: "All display is no display." For that reason the type should not be too large nor the border too ornate. Capital letters attract, especially in headings, but under no circumstances should an entire advertisement be printed in capital letters all of the same size. This fault frequently is observed in classified advertisments. When so presented they are exceedingly difficult to read. Square spaces and top-heavy advertising displays are usually displeasing and should be avoided. The square business card shown above is at once displeasing to the eye. The oblong card is much more attractive. It is for this reason that letterheads, envelopes, books, printed matter, paintings and many other things that depend upon their pleasing qualities for their effectiveness avoid squares. The balanced advertisement on the right is pleasing in appearance and more likely to gain the interest of the reader than the top-heavy example on the left. 2. An advertisement may be emphasized by contrast. A display advertisement or one of any considerable length in the classified section should have sufficient contrast so that the high points stand out and are easily read. There are some persons who are too busy or too lethargic to read an advertisement in its entirety. By emphasizing the main features the reader can be reached with at least an outline of the message, or his attention perhaps focused on some particular item of interest. Proper use of white space and border also lends emphasis to an advertisement. Numbering items to be stressed sometimes is an aid to focusing the attention of the reader. Art work has become an essential for successful real estate display advertising. While it is not impossible to produce a result-getting advertisement without art work, it is most important to visualize wherever possible. Art work of the proper sort undoubtedly adds to the attractiveness of any advertisement. Magazines and periodicals present an opportunity for the use of color. Contrasting as well as harmonious colors may be used effectively, but cheap or tawdry effects or clashing colors should be avoided. 3. Association of ideas influences the mind of the reader. "Frigidaire" for his device. The idea associated with Frigidaire offers an appropriate suggestion in considering refrigerators, and the name is. a valuable advertising asset. The "Kelvinator" is a competing device. This name also is founded on the plan of associating ideas. It is named in honor of Lord Kelvin, a great English scientist. The association of ideas, in this case, however, is too remote from the mind of the average reader upon whom the manufacturer depends for his sales. In this instance the association of ideas fails. The word Kelvinator, however, has the virtue of being euphonious and repetition finally will establish it. One large subdivider has very successfully used the association of ideas by emphasizing the fact in all advertising that his district is an ideal place for bird life. He encourages the building of bird houses, has had a bird census taken, and offers prizes to children for the best essays on the habits of birds in his district. The morning song of the robin, the happy chatter of the wren, and the twilight serenade of the brown thresher are irrevocably associated with a home in this district. Thoughts of the birds bring visions of towering poplars, sheltering honeysuckle and flowering shrubs. This association of ideas makes the district the natural goal for a prospective home owner. Thus "atmosphere" is created. Rich Kansas Land For Sale. The first associates the idea of acquiring the farm immediately with the thought of plowing it in time for reaping the next harvest. There is no time to be lost. The buyer must act now. The reaction to the second advertisement is not strong enough to stir him to action. Art work, color schemes and copy design are used to assist in associating ideas. 4. Ingenuity may assist in focusing attention and aiding memory. The inventive genius of an advertiser has been responsible for the success of many real estate projects. Ingenious devices that attract attention or aid the memory or elicit a response are of first importance among his resources. The outstanding example of ingenuity in real estate advertising is the coinage of the word "Realtor,"* and so presenting it to the public that it is associated with ideas of honesty, integrity and high business ideals and ethics. C. N. Chadbourn, of Minneapolis, Minnesota, is the author of this term which now is generally accepted throughout the business world. * "Realtor" - A person engaged in the real estate business who is an active member of a Member Board of the National Association of Real Estate Boards, and as such an affiliated member of the National Association, who is subject to its rules and regulations, who observes its standards of conduct, and who is entitled to its benefits. The use of a slogan is one form of ingenious advertising. The most famous real estate slogan is "Own Your Home," fostered by the National Association of Real Estate Boards. "Location is everything - See Us." A slogan may be in tune with the type of business being done by a broker, as for example: "Leases Our Specialty" or "Forty Years Without a Single Loss to An Investor." These apply readily to special branches of the real estate business. Slogans also may be more general in their wording and be equally forceful, and are useful to the broker doing a general business. Examples of this may be found in the following: "If Tatum says it's so, it's so," "Wright deals right," and "Confer with Confer." Often a slogan can be used as the foundation for a trade mark. An example of this may be found in Chapter XVI (Signs - Letter Heads). 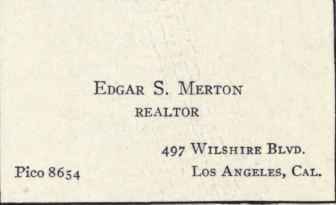 Signs-Letterheads in the reproduction of the W. H. Wright & Co. real estate sign. Slogans when not carefully chosen sometimes react on the user in an unpleasant way. If there is any doubt about the merit of a slogan it should not be adopted. For example, "See us first" was adopted by a real estate broker in exploiting his home selling department. A rival broker destroyed the effectiveness of this slogan by advertising "See others first. Then come to us for real values." The return coupon preferably set cornerwise on the page where it may be clipped with least effort, suggestions to write for free booklet, broken borders, focusing points to attract the eye, are products of the ingenious advertiser. 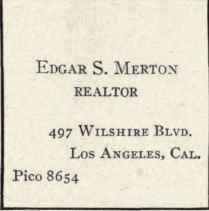 A real estate broker even may be called on to exercise his creative powers in properly presenting his name to the business world. For instance, John Henry Smith is more easily identified than J. H. Smith; J. Logan Jones is certain to become better known than J. L. Jones. An advertisement to be productive must be remembered. Every device known to make it easily remembered should be employed, such as familiar words and phrases, short sentences, brief paragraphs, concise statements and visualization. Even with these aids, however, an advertisement must be presented over and over if it is to become fixed in the memory. Even a comparatively poor advertisement can be made productive by repetition. It is an expensive method, but will get results. Psychological research has established the fact that in the first two to three seconds after reading an advertisement our impressions are most vivid. After that we forget very rapidly for the next thirty minutes, when only the high lights of the message are left, if anything at all remains. Thus repetition of an advertisement daily or twice daily is not too often. For this reason also an advertisement run once may produce no results, while the same or similar copy repeated daily for a week or a month may produce magnificent results. If $500.00 constitutes the entire advertising budget it should not be used to buy just one large space, regardless of the desirability of big displays and white space. The money should be spread over a greater period of time, depending on repetition to get results. 6. General rules to observe. Make the copy simple rather than complex. Make it short and easy to read but still tell the story. Give reasons why the buyer should buy, instead of why the advertiser should sell. Appeal to the reader, not to the personal vanity of the advertiser. Make it dignified but not bashful. It should be artistic but not ornate. Too much detail, lack of human interest, use of worn out words and phrases, exaggeration, too wordy, vague generalities.